Hemostatic function is critical in determining patient outcomes in emergency or elective surgery. Conventional coagulation tests have shown to be limited in detecting hemostatic dysfunctions and proved ineffective in diagnosing hyperfibrinolysis. Therefore, the traditional laboratory tests do not supply enough information to diagnose and treat patients timely and according to their phenotype. The viscoelastic hemostatic assays are potentially useful point-of-care tools that provide information on clot formation, clot strength, and fibrinolysis, as well as to guide goal-directed transfusion and antifibrinolytic therapy demonstrating to ameliorate treatment of acute hemorrhage in terms of decreased amount of transfusion and lowered costs. In fact, viscoelastic hemostatic assays, as compared with conventional coagulation tests, showed better for detecting coagulopathy and are the only tests that can provide rapid diagnosis of hyperfibrinolysis. Goal-directed administration of blood products based on the results of viscoelastic hemostatic assays was associated with reduction in allogeneic blood product transfusions in trauma, cardiac surgery, and liver transplantation cases. 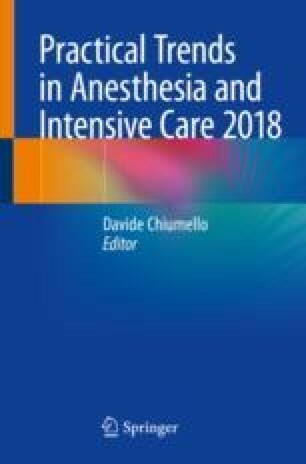 The aim of this review is to report the basic principles of the current point-of-care coagulation analyzers, to outline their clinical use, and to evaluate their ability to monitor different pharmacological substances interacting with hemostasis in the perioperative setting. Detecting, managing and monitoring haemostasis: viscoelastometric point-of-care testing (ROTEM, TEG and Sonoclot systems). 2014. http://guidance.nice.org.uk/dg13. Accessed 4 Nov 2018.
https://www.cms.gov/Regulations-and-Guidance/Legislation/CLIA/index.html?redirect=/clia/. Accessed 15 Jan 2017.